Volkswagen Golf Performance, Engine, Ride, Handling | What Car? The range kicks off with an 84bhp 1.0-litre three-cylinder (TSI 85) petrol engine but, as it’s rather slow, with barely any payback in fuel economy over the more powerful 113bhp 1.0-litre (TSI 115), we suggest you give it a miss. By contrast, the 113bhp version is one of our favourites. It's still no speed machine but revs keenly and feels livelier than you might imagine for such a small engine. That applies even when you're on the motorway; you just need to work it a bit harder than some of the more powerful alternatives. Stepping up to the four-cylinder petrols brings more effortless performance. The 128bhp 1.5-litre (TSI 130) is our favourite engine because it delivers a bit more mid-range oomph than the 1.0-litre — helpful when laden with passengers and luggage — but there's a more powerful 148bhp 1.5-litre (TSI 150) as well, should your needs dictate. As for the diesels, the 113bhp 1.6-litre (TDI 115) is a little lethargic. If you can stretch to it, we recommend the 148bhp 2.0-litre (TDI 150) diesel which is much stronger when overtaking. 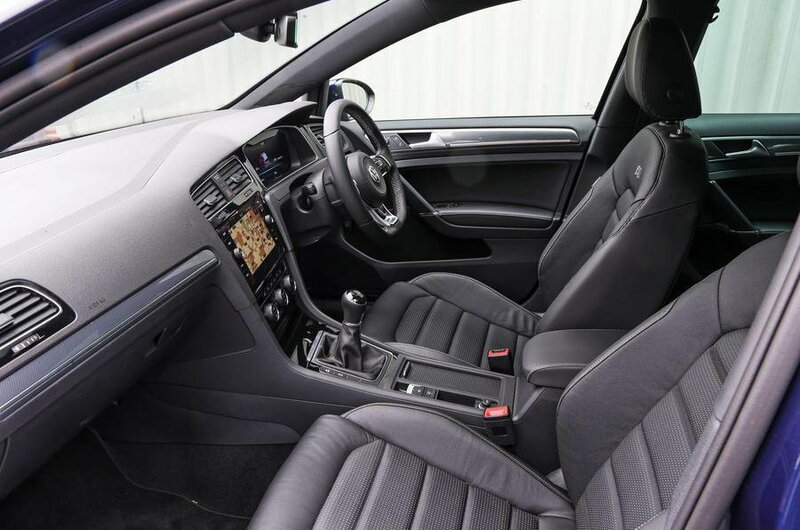 The even more powerful and decidedly brisk 182bhp 2.0-litre (TDI 184) is available only in the sporty GTD trim level. The GTI models and the R model cater for hot hatch fans. You can read all about those, as well as the all-electric e-Golf, by clicking the highlighted links that take you directly to their specific reviews. The Golf rides more comfortably than most other family cars. You'll find it a lot smoother than the Vauxhall Astra, Skoda Octavia or Seat Leon along rough roads, thanks to suspension that’s supple enough to take the worst out of big bumps and potholes. The ride remains brilliantly composed over the sort of scarred and patched-up surfaces you find in most towns and cities, too: only the Toyota Corolla and Audi A3 come close. 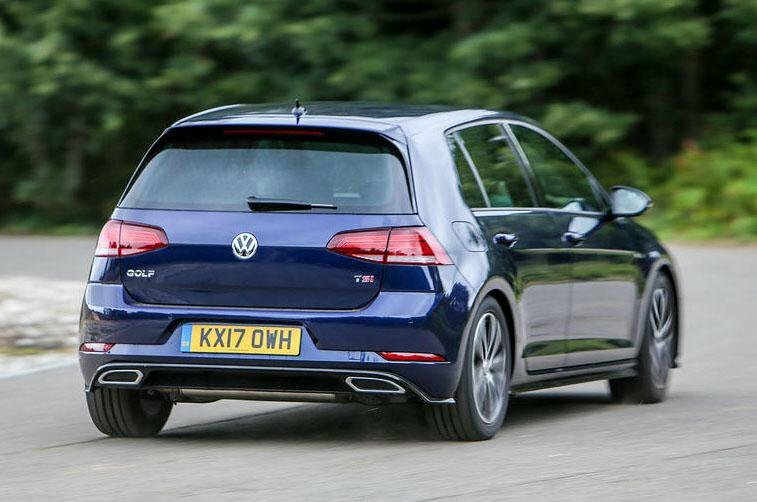 However, it’s worth noting that Golfs with the 1.0 TSI and 1.6 TDI engines use a rather less sophisticated rear suspension system than other models in the range. They still ride very well compared with the competition, but aren’t as supremely comfortable as Golfs with more powerful engines. Those models also offer adaptive dampers as an option to soften or stiffen the ride on demand, but that’s far from an essential box to tick on the order form. Read all about how the sportier GTI and R models differ, as well as the electric e-Golf, by clicking their highlighted links. Few cars in any class handle as securely and predictably as the Golf. Despite its supple suspension, body sway is kept neatly in check through tight twists and turns and you always feel confident that the car is going to respond exactly how you want it to. There’s plenty of grip, too, and you can hustle the Golf along a twisty B-road surprisingly swiftly. 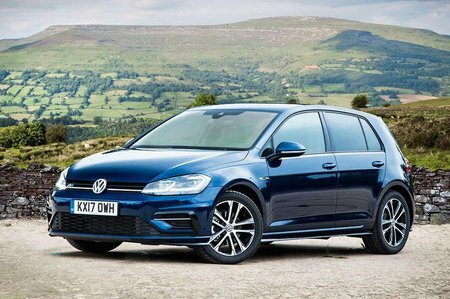 True, it isn’t quite as fun or as sharp as the Audi A3 or Ford Focus, but the Golf’s steering is nicely weighted, accurate and tells you everything you need to know about what the front wheels are doing. The Golf has traditionally been one of the quietest cars in its class, and that remains the case with this latest model. True, there's a bit more wind noise at motorway speeds than in the Audi A3, plus a touch more road noise than you hear in a Ford Focus, but it's still very hushed overall — certainly far quieter than a Seat Leon or Skoda Octavia. Most of the engines are quiet, too. The 1.0-litre engines thrum away merrily but aren’t what you’d call coarse, and none of the engines transmit too many vibrations up through the soles of your feet. Only the 1.6-litre diesel is a little disappointing: it sounds rattly when cold and a boomy when revved. The standard manual gearboxes are light and relatively precise, and there's plenty of feel through the clutch pedal, so it's easy to pull away smoothly. The optional automatic DSG gearboxes are a bit jerky when you're parking and in slow-moving traffic, but shift smoothly when you're on the move.